SigmaNEST is the newest and greatest release in the nesting software industry. The latest update comes with improved functionality for CNC punch, laser, and plasma machines. Ease of multi-sheet nesting is made possible with the new Dynapack-HD nesting engine, which provides better sheet selection, more efficient operation, and overall improved material yield. 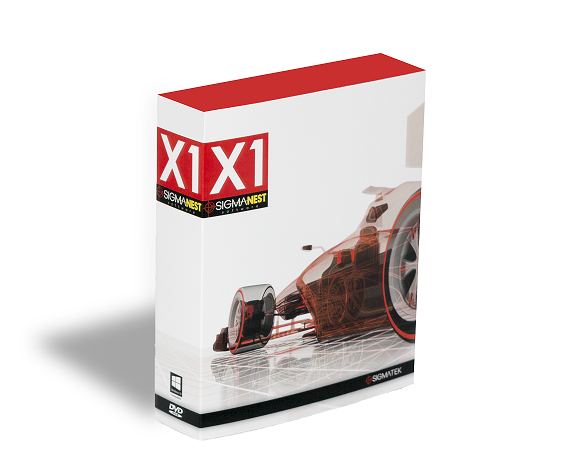 Designed for every type of machine, SigmaNEST X1 delivers the highest versatility for your nesting needs. With the world’s largest dedicated support team, SigmaNEST X1 is the best nesting solution in the industry. Learn how SigmaNEST provides direct translation of 3D CAD models Autodesk Inventor, SolidWorks, Solid Edge, Unigraphics, CATIA, and Pro/ENGINEER. SigmaNEST solutions are built on core modules that are packaged together for specific machine requirements or advanced to best meet the business needs of customers. These additional modules fall under the areas of: Nesting, Operations Planning and Management, Machine Modules, Design/Geometry, Shop Floor and SigmaTUBE. If you’re interested in viewing a software demonstration of SigmaNEST, please contact our sales team. Applied Engineering is happy to schedule a web demonstration at a time that is convenient for you. We also have training available. Contact Applied Engineering if you’re interested in purchasing SigmaNEST software. An Applied Engineering technology sales consultant can normally deliver a quote to you within hours. Applied Engineering is authorized to sell, implement and train SigmaNEST software products throughout the United States through its offices located in Minnesota, North Dakota, South Dakota and Wisconsin. If you’re looking for more information about SigmaNEST, you can download an overview or features brochure.